Motorpoint has decided to not continue sponsorship into the 2012 season, leaving the future of the leading British team up in the air. “After two hugely successful seasons and the development of some of cycling’s future stars, Motorpoint can confirm that it will not continue with the sponsorship of its pro cycling team into 2012,” a statement on the team website said on Monday. “It depends on what kind of funding we can get will dictate the direction we can go,” he said. It’s understood that current backer and Yellow Ltd owner Phil Griffiths could still provide backing for the squad if no new primary sponsor is forthcoming. The squad, which won the Tour Series in 2010, has already been hampered by losing Premier Calendar winner Ian Bibby and runner-up Jonny McEvoy to the Endura team for next year. It also has a successful women’s team, home to junior world road race champion Lucy Garner and Holland-bound talent Hannah Barnes. Tobyn Horton will move to Team Raleigh next year as uncertainty reigns over Motorpoint’s future. “I’d been talking to Cherie [Pridham, manager] and signed at the end of last week,” he said. 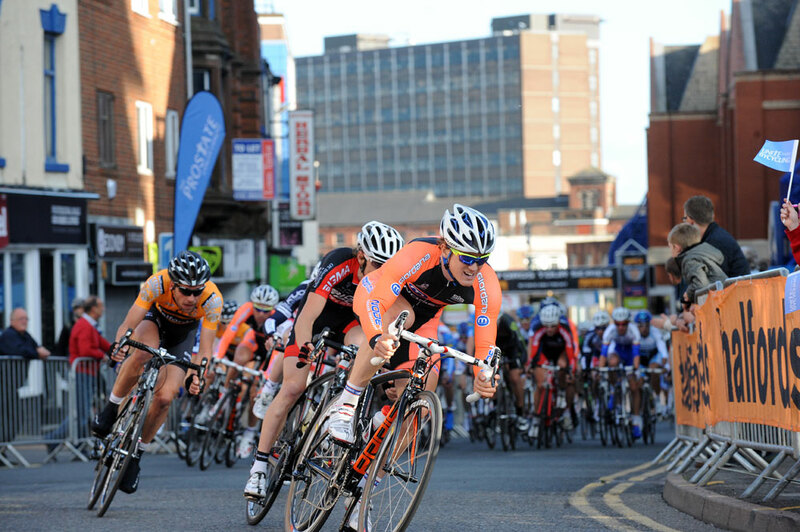 It comes in the wake of Motorpoint’s withdrawal from sponsoring cycling. “I’m unsure what’s happening, it’s all a bit up in the air,” he said on the team’s future. Raleigh’s new signings, which include British crit champion Graham Briggs and Bernard Sulzberger, point at a real Tour Series challenge – and Horton hopes to play a big part. “The atmosphere is awesome in those races. I love the intensity and aggression of crit racing too,” he said. Joining Motorpoint at the start of the year, Horton was second on a stage of the Ras and won the Island Games criterium. The bi-annual sporting competition brings together small islands from across the world; Mark Cavendish was a winner there as a teenager in 2003. 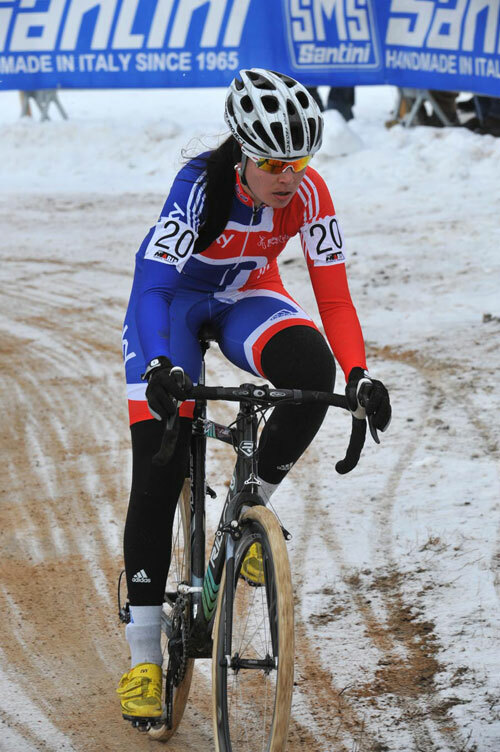 Nikki Harris continued to make big improvements this season with a third place finish at the Koppenbergcross on Tuesday. The fast course, which takes in one of the most famous ramps in Flanders, was won by Sanne van Paassen of the Netherlands ahead of last year’s winner, Helen Wyman. The result is further indication for Harris that she has been able to put the illnesses and crashes that stifled her performances last year behind her. She explained that small changes in her preparation have helped things come together this time around. Now riding for the Belgian Telenet-Fidea team, Harris has been able to compete this year without the stress of worrying about equipment, helping her to focus on her riding. She now heads to Lucca this weekend for the European Championships where she will hope to be able to put in a strong performance again. 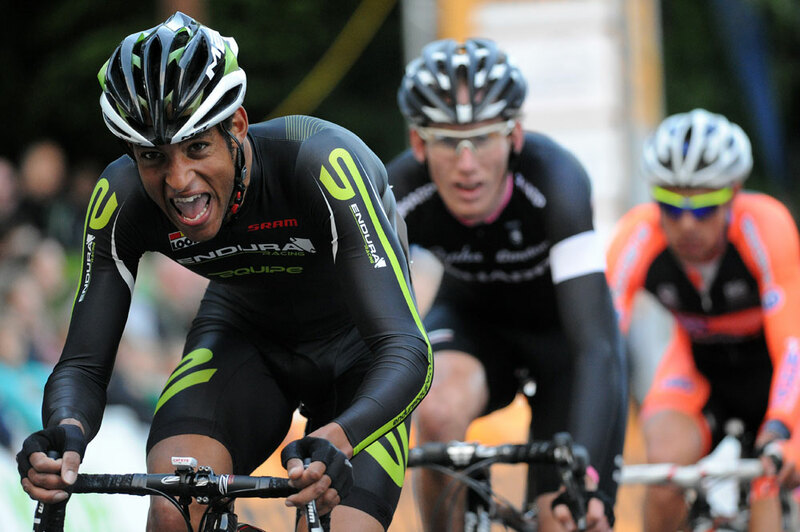 Endura rider Dave Clarke is currently without a contract for 2012. “They just said there wasn’t a place; obviously, they’ve got a good pick of the riders now because nobody else has got any money. Nothing against Endura,” Clarke said. During his time at Endura, Clarke raced several top stages races, such as the Tour of San Luis – where he earned the nickname “Lenny Kravitz” from his peers – the Tour of the Med and Tour of Murcia. Clarke knows what it is like to race self-sufficient, without a squad, holding his own as in past Premier Calendar races and competing in events as far afield as Cameroon and Guadeloupe. The 2011 London Cycling Awards will take place on November 16 as part of the London Cycling Campaign’s AGM, and will this year will be sponsored by Butterworth Spengler and Levenes. Held in the Keyworth Building, South Bank University, the awards will feature nominations for six categories including best cycling facility, best London cycle event and best community cycling project. The nominees can all be viewed on the LCC website, www.lcc.org.uk, and results will be announced on the night over a complimentary drink and buffet. Registration for the event can be in advance through email to agm@lcc.org.uk or on 020 7234 9310, and entry is also available on the door.